The sublingual fossa is found alongside the mylohyoid line that spreads out posteriorly via the mental spines on both sides of the symphysis. 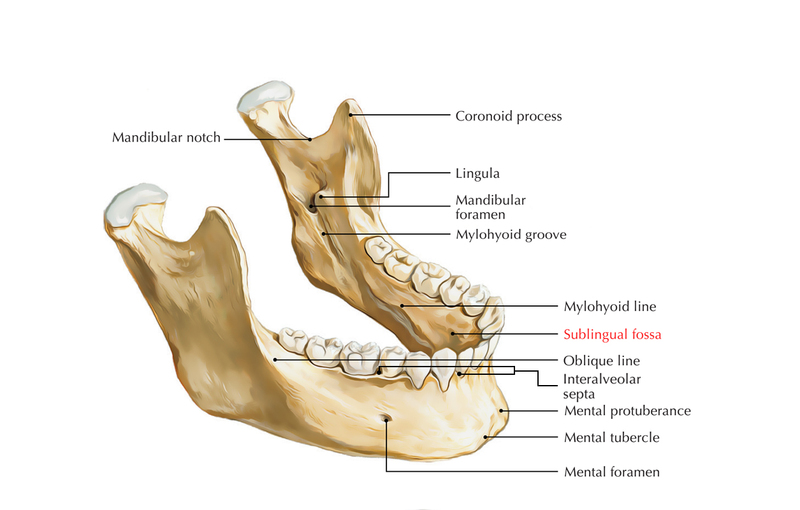 The sublingual fossa is a distinctive osseous indentation located on the lingual part of the anterior mandible expanding in the middle of the lateral incisor and first molar superior towards the mylohyoid muscle. The sublingual gland is found in the sublingual fossa.